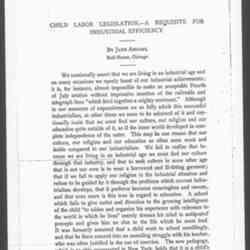 Subject is exactly "child labor"
Addams writes Kelley about a child labor bibliography, work with charities, and Margaret Kelley's injury playing basketball. 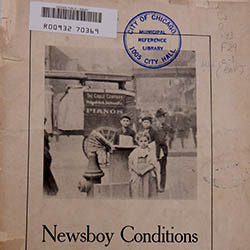 Lawson notes that he has heard that Addams seeks a change in the newsboy ordinance and wants to discuss it with J. C. Schaffer. 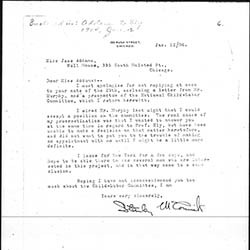 Murphy seeks to interest Stanley McCormick and Anita Blaine in joining the National Child Labor Committee. 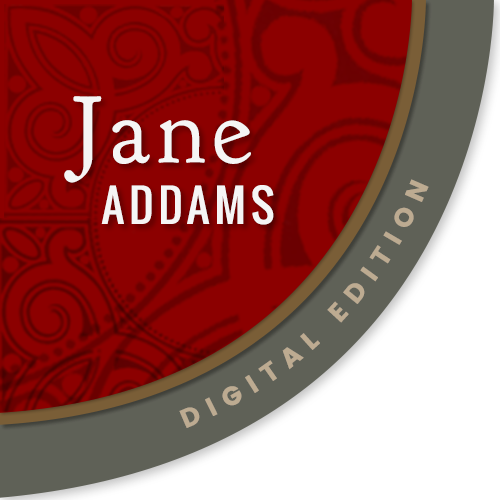 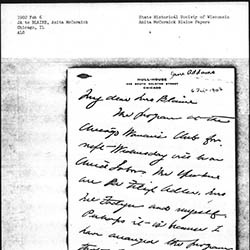 Addams encloses a message from Edgar Murphy and urges Blaine to support it. 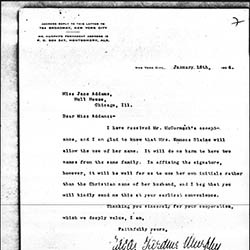 Addams tells Kelley that she has joined the Child Labor Committee and asks about Kelley's son, John. 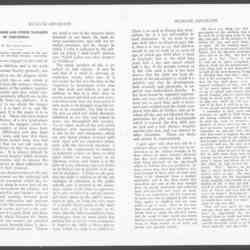 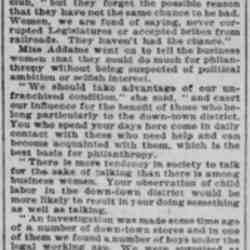 Addams provides an introduction for a reprint of Myron E. Adams' article published in the Annals of the American Academy of Political and Social Sciences, on the working conditions of newspaper boys. 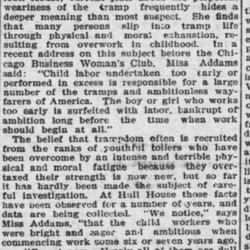 Addams discusses the damage that child labor causes children, physically and mentally, and calls for it to be halted. 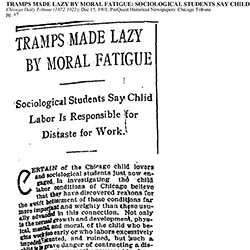 Addams discusses the evil effects of child labor on labor practices and education. 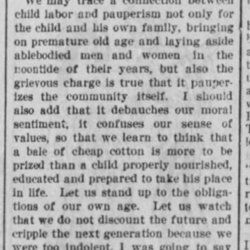 North discusses the availability of data on woman and child labor held by the Census Bureau and their efforts to compile it. 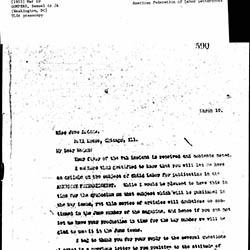 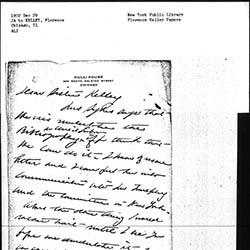 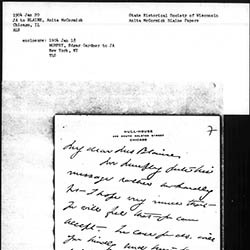 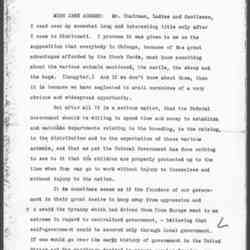 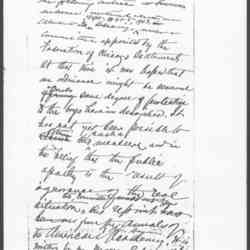 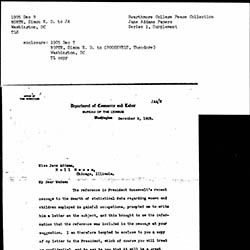 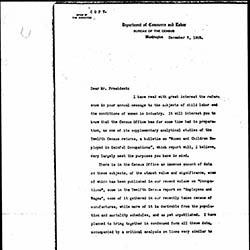 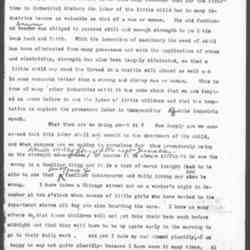 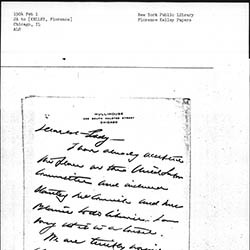 North wrote to Addams about Theodore Roosevelt's complaint that there was insufficient data on women and children's employment, and asks for her help with a plan. 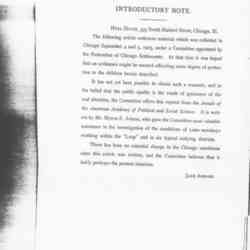 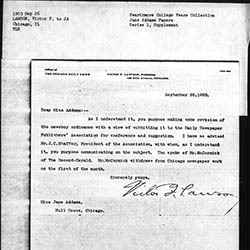 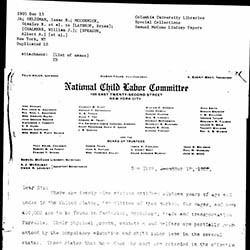 Writing on behalf of the National Child Labor Committee, Addams and others court financial support from public-spirited citizens in Chicago, Boston and Philadelphia. 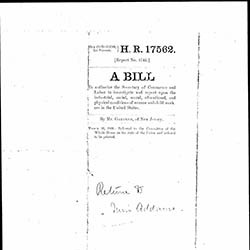 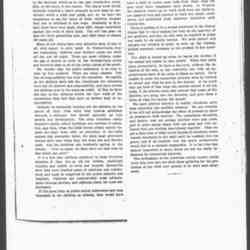 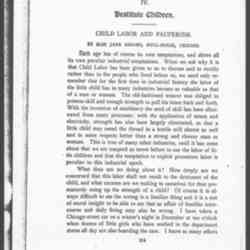 The text of a bill authorizing the Secretary of Commerce and Labor to investigate and report upon the industrial, social, moral, educational, and physical conditions of women and child workers in the United States. 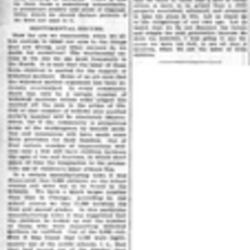 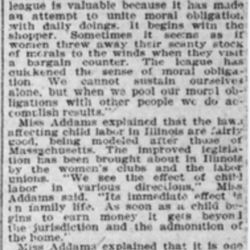 Addams' argues that child labor is the greatest social ill in remarks at the American Humane Association Convention on November 14, 1906. 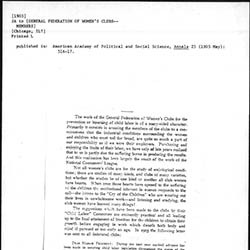 This version was published in December. 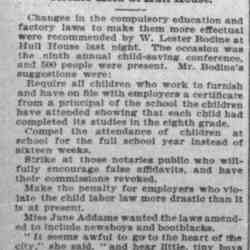 Addams' speech before the National Child Labor Committee in Cincinnati calls for government regulations to protect women and children.